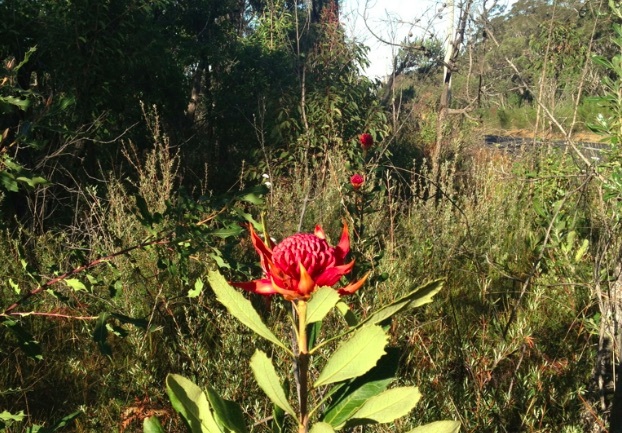 [Forum] The October long weekend saw the arrival of several magnificent waratahs at the top of the Patonga Hill Ridge. These beauties were in several stages of bloom and admired by the many visitors that went to Patonga for the long-weekend Art Show. Sadly, a thief was observed on Monday, October 1, at 3:45pm approximately cutting down the waratahs, presumably for personal use. This is a violation against the National Parks Fauna and Flora Act. The thief was driving a white four wheel drive utility vehicle. I hope the National Parks and Wildlife Service catches this person and imposes the heaviest of fines as applicable.